Safe Browsing is broadening its protection of macOS devices, enabling safer browsing experiences by improving defenses against unwanted software and malware targeting macOS. As a result, macOS users may start seeing more warnings when they navigate to dangerous sites or download dangerous files (example warning below). As part of this next step towards reducing macOS-specific malware and unwanted software, Safe Browsing is focusing on two common abuses of browsing experiences: unwanted ad injection, and manipulation of Chrome user settings, specifically the start page, home page, and default search engine. 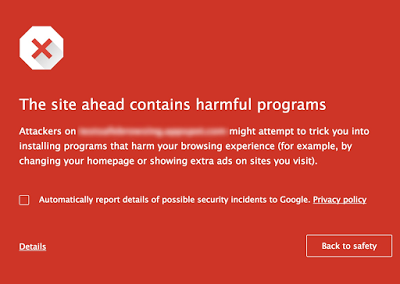 Users deserve full control of their browsing experience and Unwanted Software Policy violations hurt that experience. The recently released Chrome Settings API for Mac gives developers the tools to make sure users stay in control of their Chrome settings. From here on, the Settings Overrides API will be the only approved path for making changes to Chrome settings on Mac OSX, like it currently is on Windows. Also, developers should know that only extensions hosted in the Chrome Web Store are allowed to make changes to Chrome settings. Starting March 31 2017, Chrome and Safe Browsing will warn users about software that attempts to modify Chrome settings without using the API. For more information about the criteria we use to guide our efforts to protect Safe Browsing’s users, please visit our malware and unwanted software help center.